class="single single-post postid-1310 single-format-standard wpb-js-composer js-comp-ver-3.6.12 vc_responsive"
Dinesty Dumpling House was named the 2016 winner of Beat Casual Chinese Restaurant by Vancouver Magazine during its 27th Annual Restaurant Awards ceremony this Wednesday. The prestigious award ceremony took place at Sheraton Wall Centre hosted by CBC Radio One anchors Gloria Macarenko and Stephen Quinn. 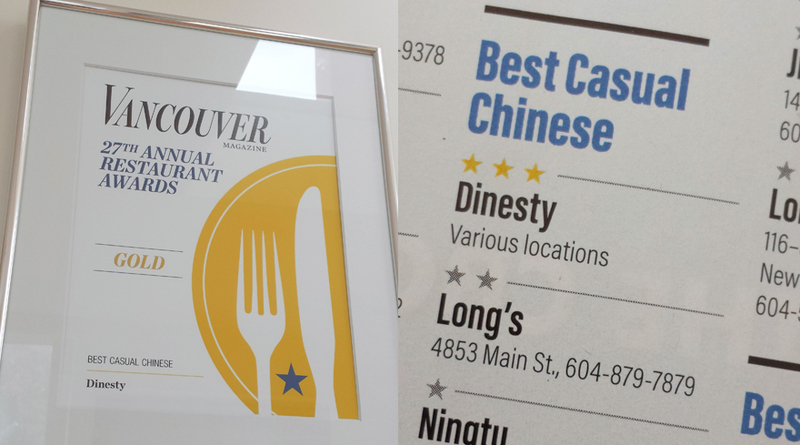 After a year of taste-testing by 18 judges, Dinesty has won the recognition for being one of the top restaurants in Vancouver.